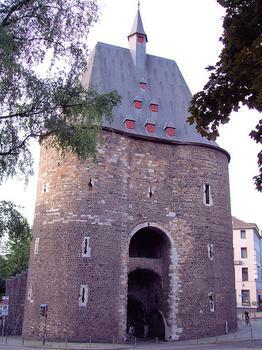 The Marschiertor, also known as the Burtscheider Gate, is the south gate of the outer city wall and one of two surviving medieval gates in Aachen. 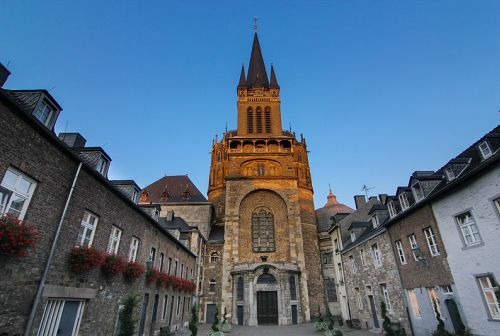 The Marschiertor, also known as the Burtscheider Gate, is the south gate of the outer city wall and one of two surviving medieval gates in Aachen. The 13th century gate has twin towers, with a central rectangular structure connecting them and giving it a hipped roof. 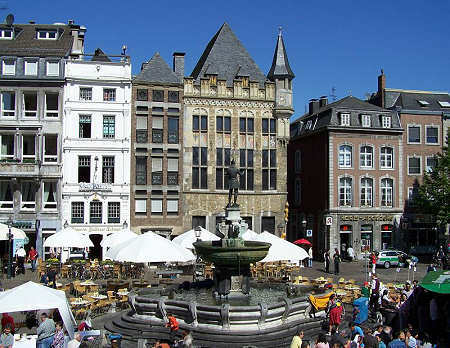 The Maschiertor was largely damaged in World War II bombings and restored thereafter.